A two-day event was organized to celebrate the 100th Anniversary of Armada Española. 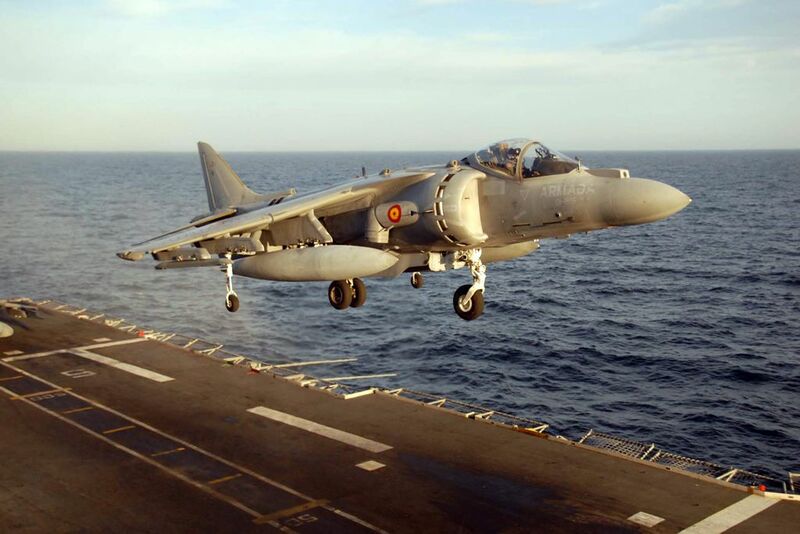 Spanish AV-8B plus Harrier. It will be the main act of the Spanish Navy centenary air show. The main events related to the Spanish Naval Aviation Centenary (Centenario Aviación Naval) will take place on September 15-16. The first day will be reserved for a private Military ceremony in Rota Naval Base attended by a High State Authority. During the day there will be an air parade and an exhibition of air assets on the ground. On the second day, sept. 16, from 10.30 am an Air Show will be held at the La Costilla Beach in Rota, with participation of air elements from other navies, armies and organizations. Some aircraft will take off from warships deployed in adjacent waters including the Juan Carlos I (L-61) aircraft carrier. It will surely be a good opportunity to see in the air many Harrier vertical take-off and landing jets.